It will be the first time China has sent pandas to Denmark. "The Danish prime minister visited Chengdu to see the two giant pandas to be sent to the Copenhagen Zoo to live there for some time. 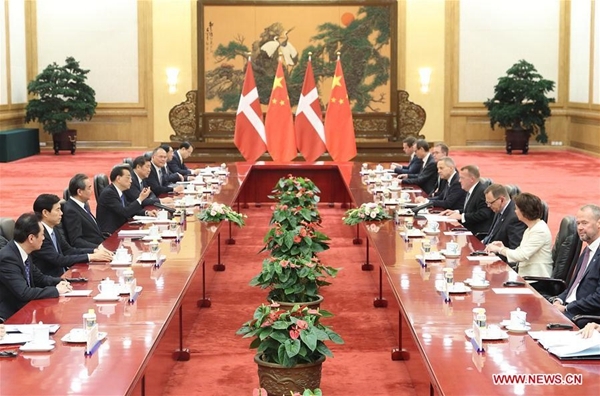 But The arrival of the pandas in Denmark will depend on when Denmark gets (the Panda House) ready," Liu Weimin, an official with the Chinese Foreign Ministry told reporters after the talks. "The giant pandas, as messengers of friendship, will play a positive role to our bilateral relations," Liu said. Before the talks, Li held a welcome ceremony for Rasmussen at the Great Hall of the People. China said it would send two giant pandas to Denmark and work on panda protection during Danish Prime Minister Lars Loekke Rasmussen's visit.